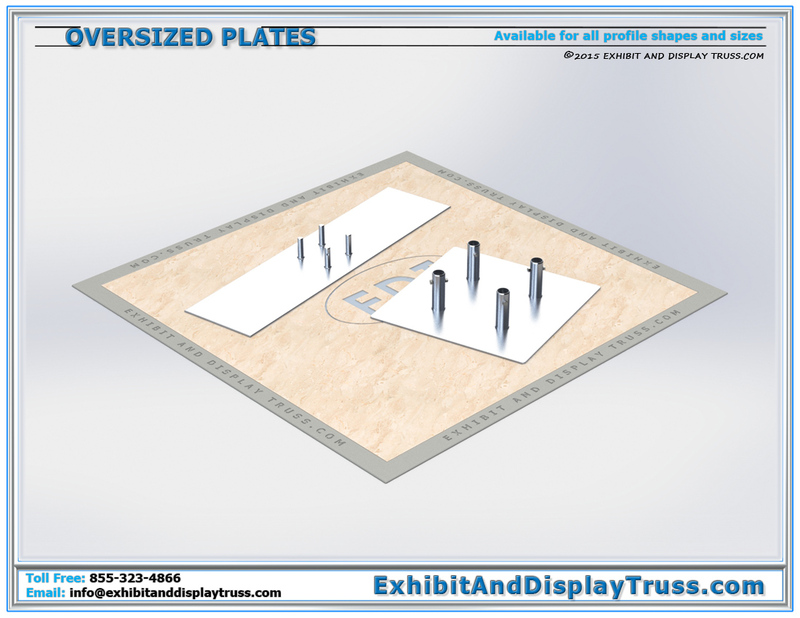 Aluminum plates found on all of our Exhibition displays and trade show exhibit booths are the foundation of the trade show display booth. Strong and attractive they provide stability for archways, TV and LCD Monitor Stands, and finish lines. 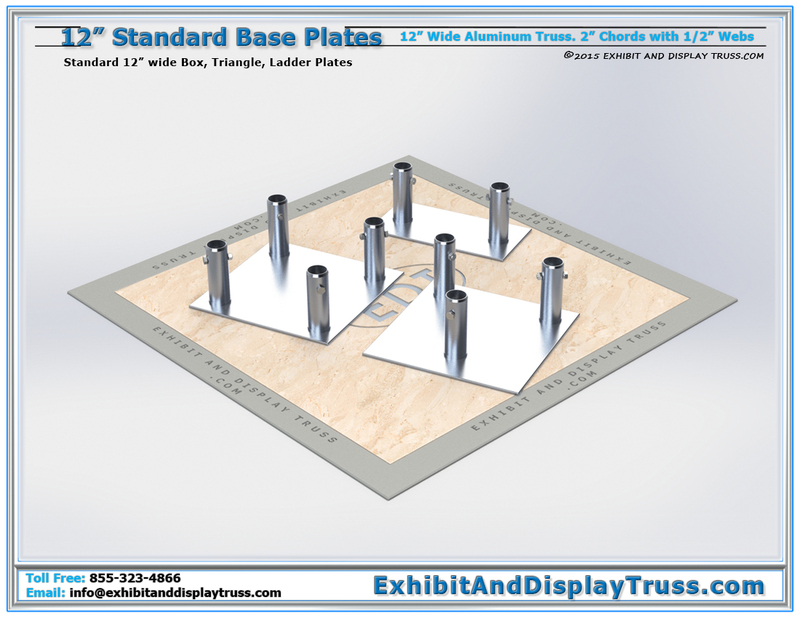 Aluminum base plates, as opposed to steel base plates used by other exhibit companies, provide a solid footprint for any truss structure, while being lightweight and portable. Steel base plates are sharp and heavy and hard to transport and look dirty and rusty in no time and by no means add a decorative element to your display booth. 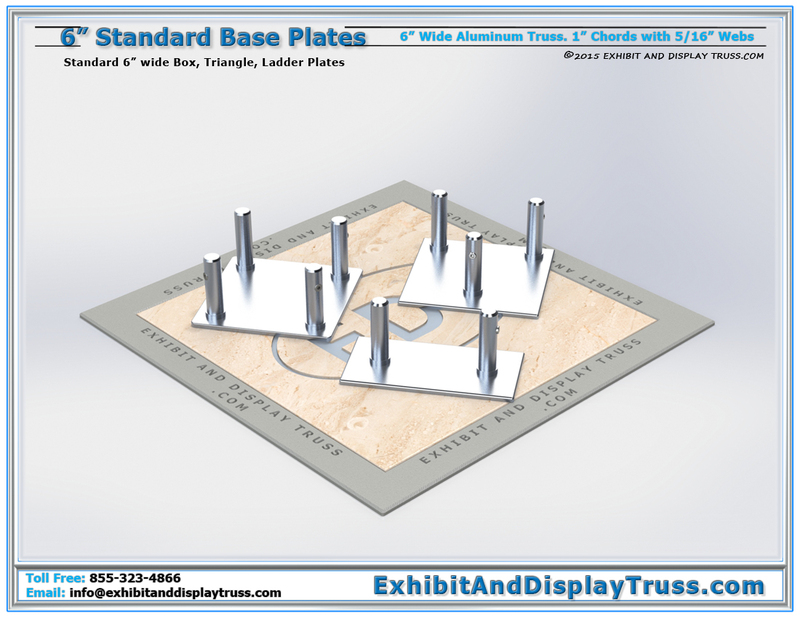 We have a wide range of standard base plates for all size display truss and all profiles. 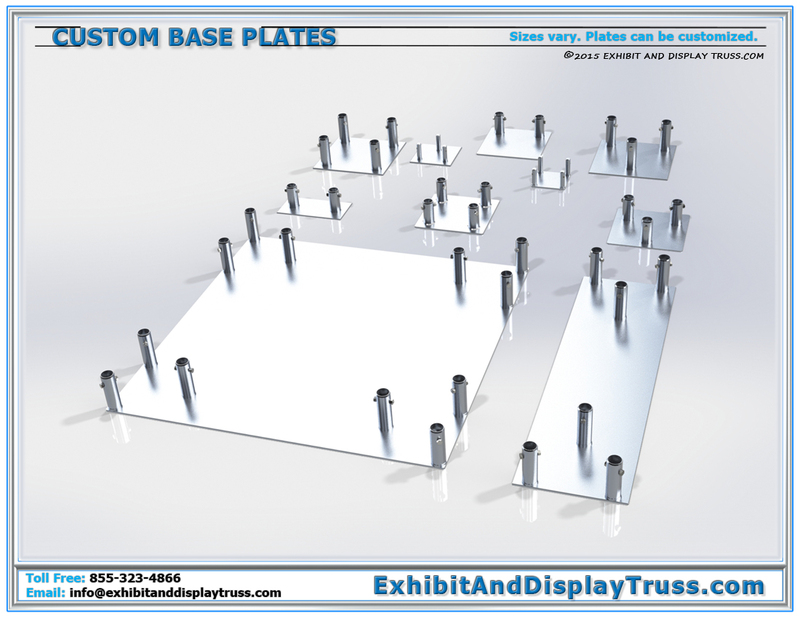 We also can custom create and or fabricate and shape or size custom base plates to suit your trade show truss structure or installation. Certain finish lines and archways may require larger base plates to enhance stability in the elements and our aluminum base plates weather the storm perfectly. Exhibition exhibits and displays for convention halls and convention booths must look good. 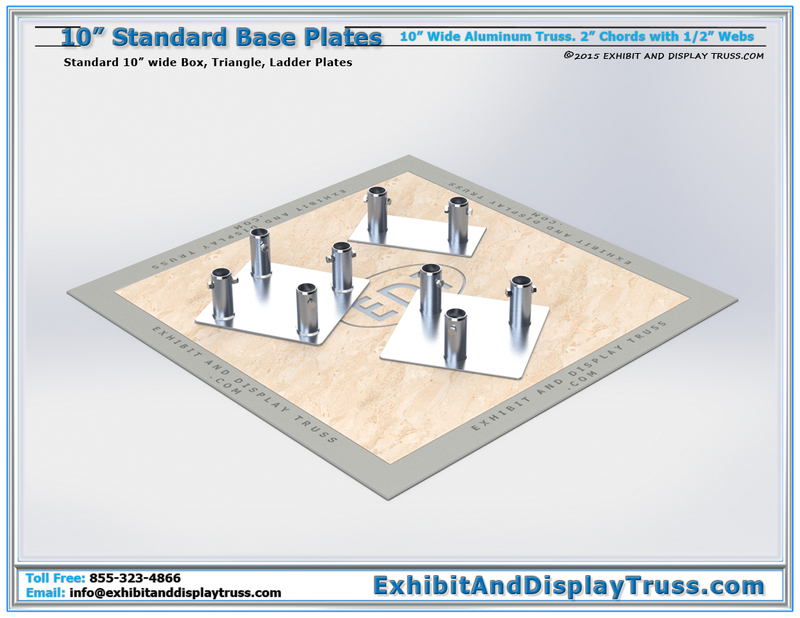 Dressing your exhibit booth with an attractive, clean looking aluminum base plates is the final touch on and already beautiful display or truss kit. We can work with aluminum plate in any fashion you require. If special custom plates need to be welded to the truss for mounting plates it’s no trouble. We can do it fast and inexpensively. Custom Aluminum Truss Base Plates can be fabricated in any size or shape. Do not hesitate to ask us about this, Contact Us today. All of our aluminum truss display truss applications use one of our standard aluminum base plates on each leg or upright truss. Browse our standard truss profile sizes to find the mating aluminum truss base plate for that width or profile size.